If you’ve got an Apple Watch in Russia and want to display the rainbow watch face, you’re out of luck. 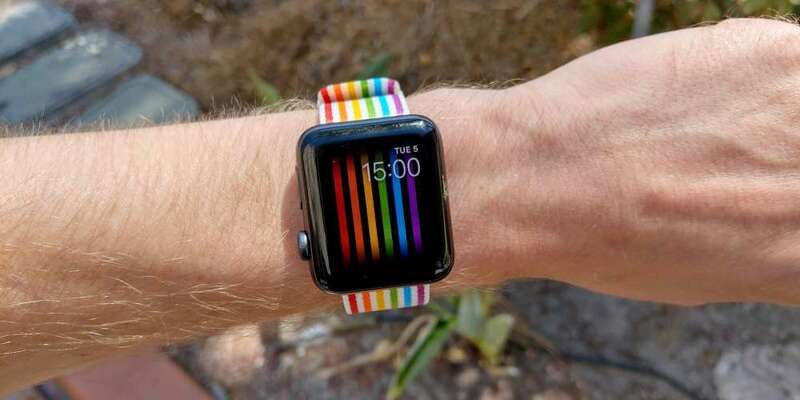 Yesterday, a programmer discovered the code that prevents the rainbow Pride face from appearing on the Apple Watch in the country. iOS developer Guilherme Rambo tweeted out a screenshot of the pertinent code that blocks any Apple Watch in Russia from being able to display the rainbow watch face. 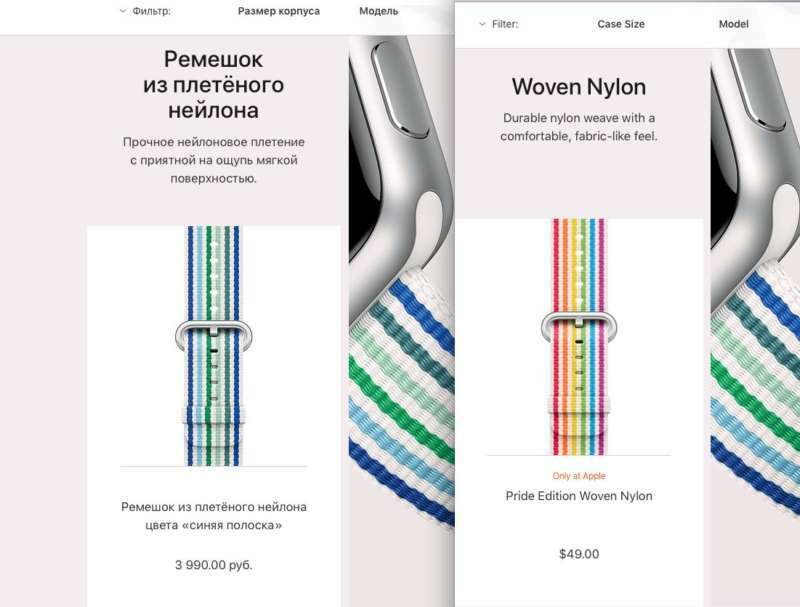 Similarly, the rainbow-patterned Apple Watch band is also not available in Russia, replaced with a band with blue and green stripes. The band that replaces the rainbow one in Russia, screenshot courtesy of Anton Kudin. Unfortunately, as Twitter user @DirtyCake discovered, Russians can’t simply change their location on the phone. The block is at the device level, so any Apple Watch in Russia has the block, even if the watch-wearer visits a different country. Also, if you’re on an Apple Watch sold in a different country and then change your regional settings to Russia, it’ll also remove the rainbow Pride watch face option. 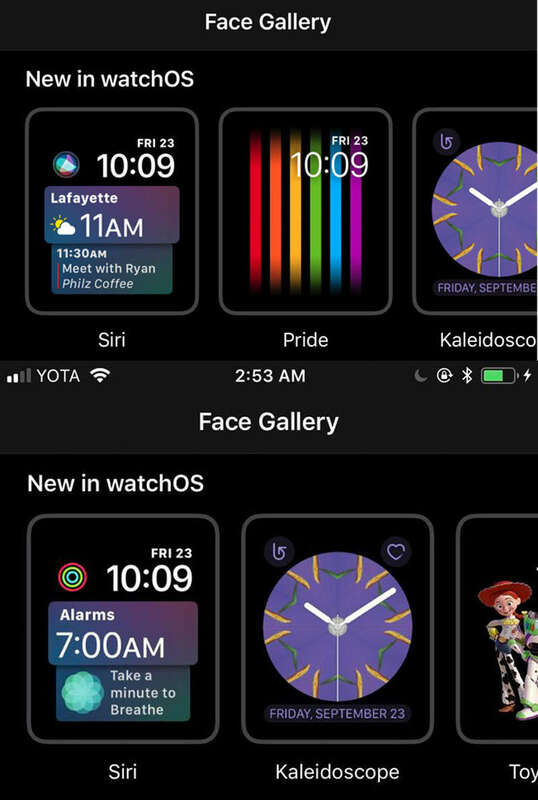 Requests for the Apple Watch in Russia to display the rainbow watch face have been on Reddit and Apple’s support forums since the display was first announced. On Russian devices, the Pride watch face simply doesn’t appear among the other options. The Face Gallery lets you choose the watchface you’d like. On the top is a Face Gallery from a U.S. device; on the bottom is the Face Gallery from a Russian device, Russian screenshot courtesy of u/Jonathan_x64. 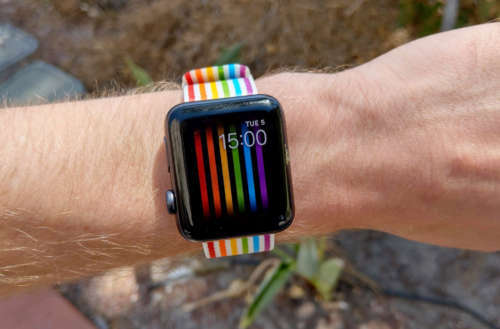 While it’s assumed that the removal of the rainbow watch face is due to the Russian ban on “gay propaganda,” it’s currently unknown whether or not the Russian government forced Apple to remove it or if Apple themselves removed it preemptively. Given that rainbows don’t just represent the LGBTQ community — lots of people like rainbows — banning the rainbow watch face seems particularly petty. As Russian Twitter user @mcsucculent wrote, “What nonsense! I’m waiting for Russia to ban rainbows after the rain.” Well said. Do you have an Apple Watch in Russia? Have you figured out a work-around?